First, the good news: there are now a record number of women in the New York City Fire Department. The bad news? That there are still only 49 women in the whole of the FDNY — which is a record in their 150-year history, but is also pretty terrible for a department with over 10,000 firefighters. Still, progress is progress, even when the starting point is abysmal. The new recruits all have interesting stories of their own, as well, and include a former Marine, a single mother of two girls, an electrician, and one woman who went through training alongside her two brothers who are already in the department. All reportedly did extremely well on physical exams, even though two are only about 5'2" and 110 pounds — which flies in the face of the conventional argument that women aren't up to the job of being firefighters because they're physically smaller. 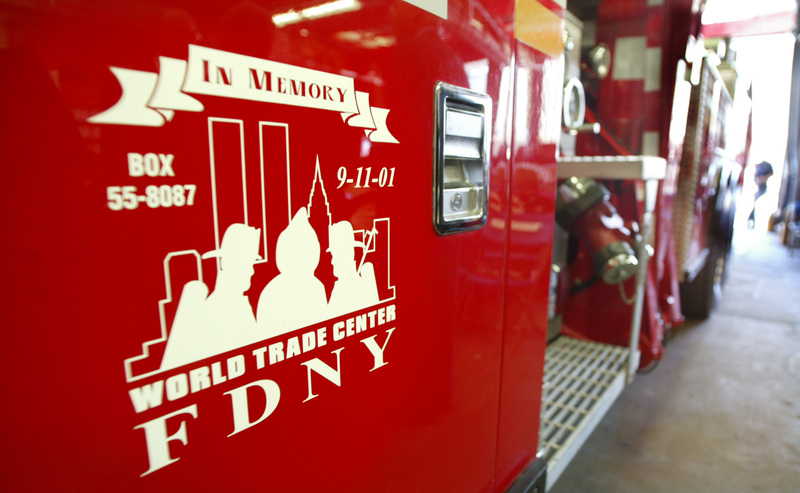 Still, it's clear that things are slowly changing among New York's Bravest. A year ago, there were only 41 women in the department, meaning numbers have gone up almost 20 percent since then. So even though 49 firefighters might not seem like much in a department of over 10,000, it is a big difference. And hopefully, that progress only continues, as having more women in the department in turn inspires more women to join — which is also the hope of newly graduated firefighter Sheliz Salcedo. "Getting to this point taught me that anything is possible as long as you put heart, mind, body, and soul into it," Salcedo told The Village Voice. "I hope we can help raise awareness and inspire more women to come up and join."